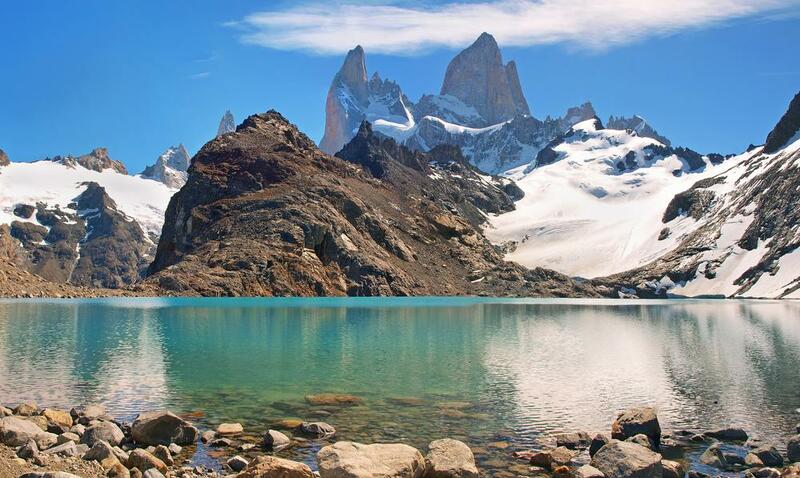 Get lost in the natural beauty of South America on your custom tailored Patagonia tour package through marvelous coastlines, gorgeous glaciers, and dramatic mountaintops. Horses gallop along the Patagonian steppe. Condors soar through the endless blue sky. Pumas lounge near tufts of grass and dolphins splash into the Atlantic Ocean near lounging sea lions. Nature becomes lively and encompassing. Wildlife thrives alongside turquoise lakes and rushing rivers fed by melting snow. 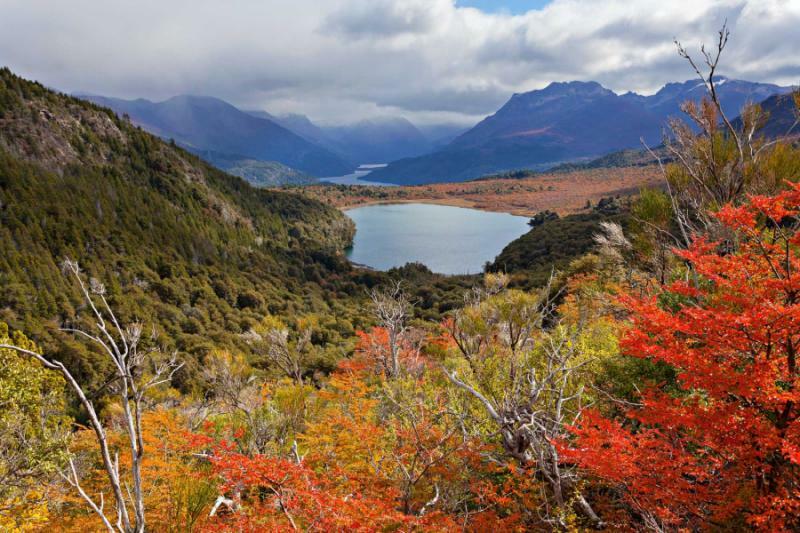 Follow the path of Ruta or Route 40, connecting the Atlantic to the Pacific, to discover the true majesty of Argentina’s southern region. 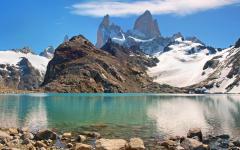 The splendor of Patagonia travels from mountaintop to river basin, glacial walls to ocean waters. 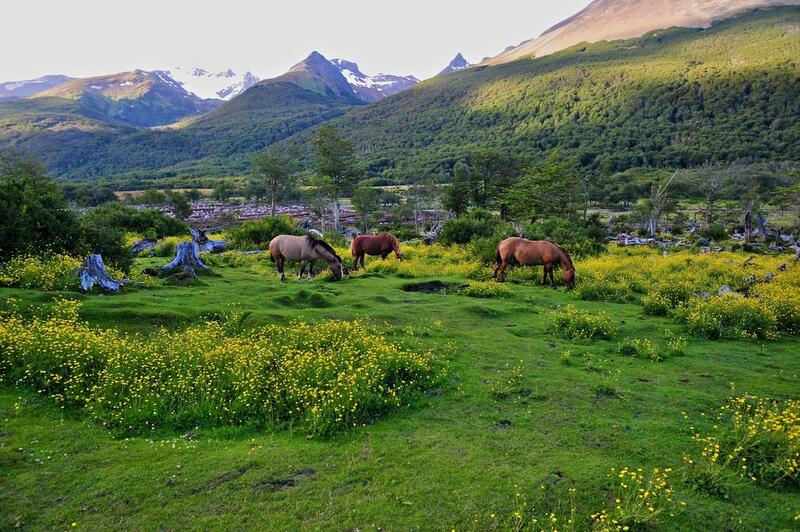 Your 9-day Patagonia tour takes you along the secluded landscape to experience the beauty of natural isolation and the charms of traditional ranches. Barbecues grace the air with succulent aromas. 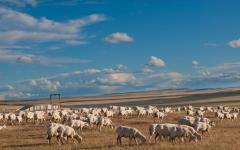 Wildlife roams freely across the plains and foothills. Lakes shimmer with opulent waters rippling with unadulterated wakes. Your journey begins with your arrival in Comodoro Rivadavia. 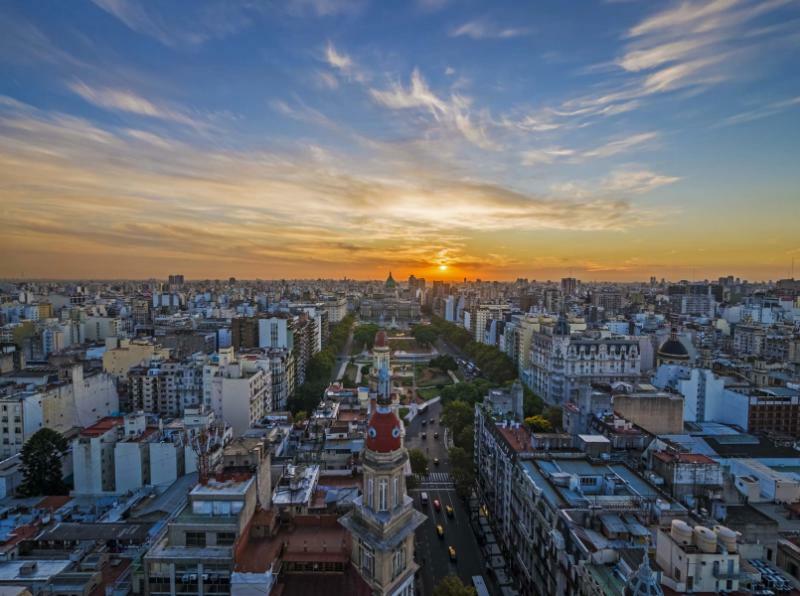 The former fishing village is now a cosmopolitan port town connecting the southern region of Argentina to international cities by boat. 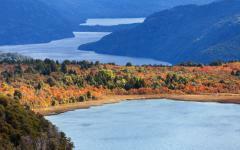 Small towns and stunning natural reserves blossom outside of the city. 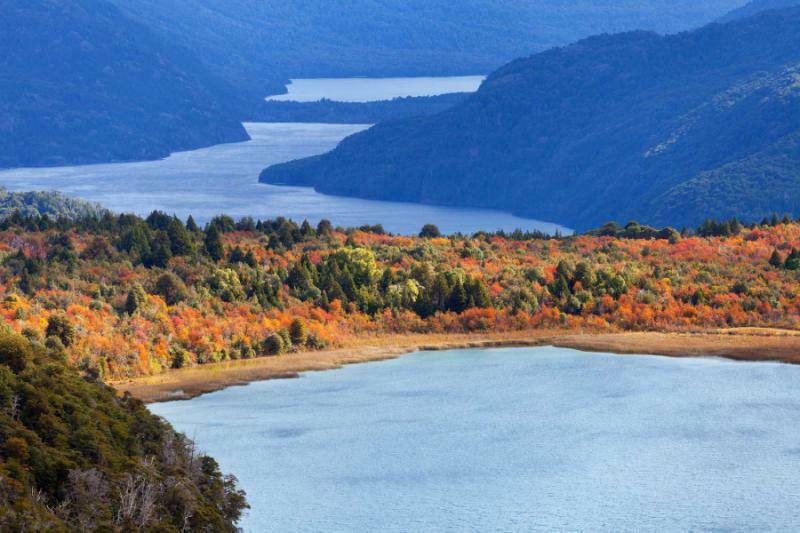 The following morning, your private transfer takes you along Ruta 40 for the first stretch of your scenic tour of Patagonia. 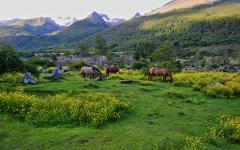 Travel along the steppe to Puerto Deseado to explore the remarkable sunken river valley of Ria del Deseado. You travel inland, venturing from the Atlantic to the Andes. You arrive at your fabulous estancia accommodation and relax in the company of culture, tradition, and an exclusive view of the plain. 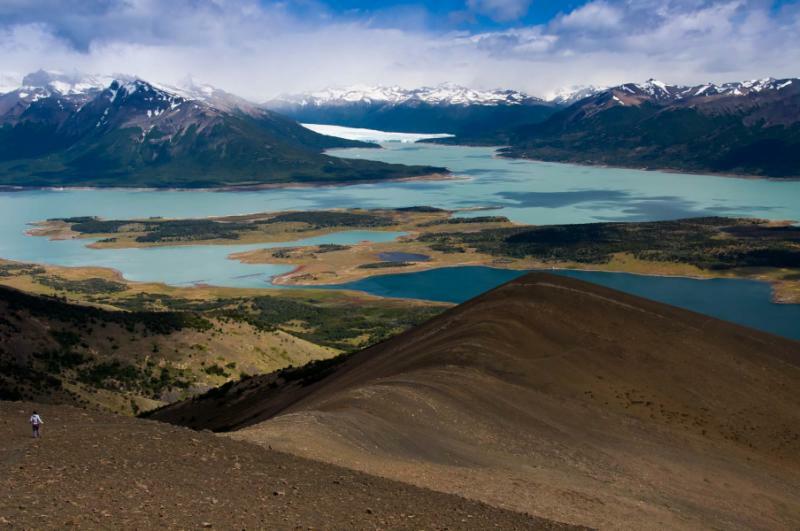 Next, you venture into Perito Moreno National Park to visit the Cuevas de las Manos, where numerous ancient Aboriginal artworks remain preserved. Continue with a scenic drive deeper into the park to arrive at your luxurious estancia. Spend a day on a marvelous wildlife tour of the region, searching the nearly 300 lakes for flamingos, condors, rheas, and guanacos. 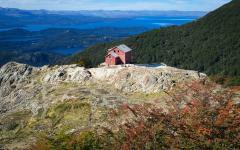 You make your way across the Patagonian steppe to a secluded, comfortable estancia near the shores of Lake San Martin. The fabulous wildlife is in full, active view along the way. Spend a day at your leisure to take advantage of the endless opportunities your estancia provides. 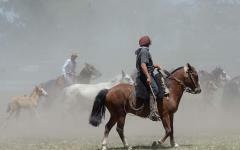 Search for puma during a guided tour on horseback. 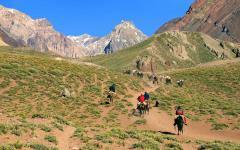 Trek the mountainsides on a marked trail. Stroll alongside the sensational shores of the numerous lakes in the area. 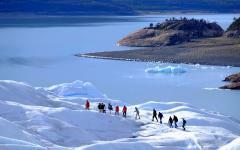 You travel beside the shores of Lake Viedma en route to Perito Moreno Glacier. 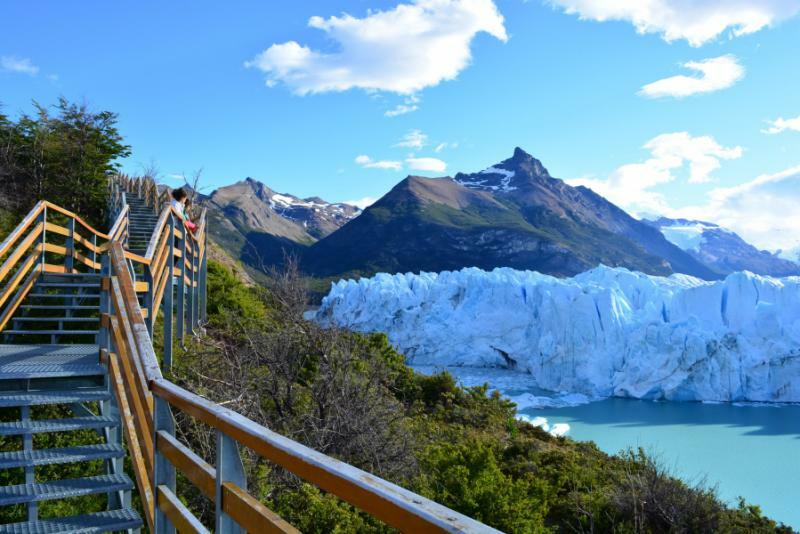 Tour the glacier for a majestic view of the ice shaping the landscape. 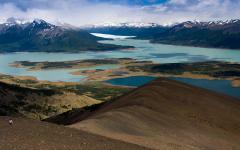 Your private transfer escorts you to the airport in El Calafate for your flight home. The city of Comodoro Rivadavia sits at the eastern edge of the famous highway connecting Argentina to Chile. The city was founded at the beginning of the 1900s, linking local estancias. 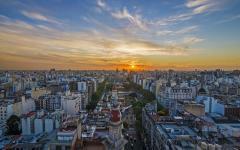 Contemporary life bustles along the main streets of Avenida San Martin and Avenida Rivadavia. Boutique shops line the walkways and showcase elaborate window displays as if each dress or suit were artwork. The summit of Mount Chenque watches over the city and provides a unique panorama of the urban settlement stretching to the cobalt shores of the San Jorge Gulf, an ocean basin that provides pathways to the Atlantic Ocean. Soft sandy beaches line the coast, leading to the town of Rada Tilly. The ocean break fills the air with a gentle lull. At the foot of the slopes near Punt del Marques, oyster beds decorate the shores during low tide, and a wild colony of sea lions relaxes on the sun-drenched sandbars. Your private transfer greets you at General Enrique Mosconi International Airport upon your arrival. You easily settle into the captivating luxuries of the city and its beautiful surroundings. 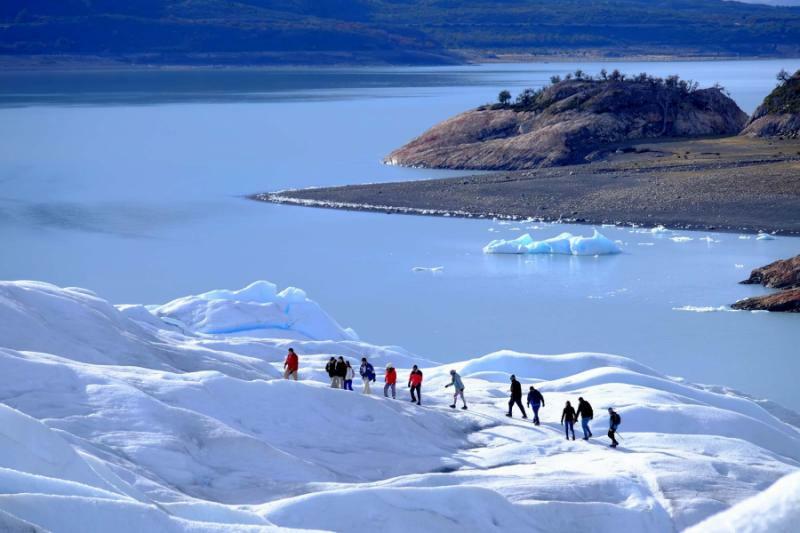 Consider learning more about your Patagonia travel agents who strive to provide a highly personalized and memorable Patagonia trip of a lifetime for you. The ocean current brushes against the golden shores of the Argentine coastline. At breakfast, you find freshly baked medialunas, small flaky pastries similar to croissants. The aroma of rich coffee overtakes the drifting scent of the sea. Your guide meets you in the hotel lobby after your meal and leads you along the ring of the San Jorge Gulf. Cliffs rise along the shoreline. The town of Caleta Olivia is an authentic fishing village founded in the early 20th century. 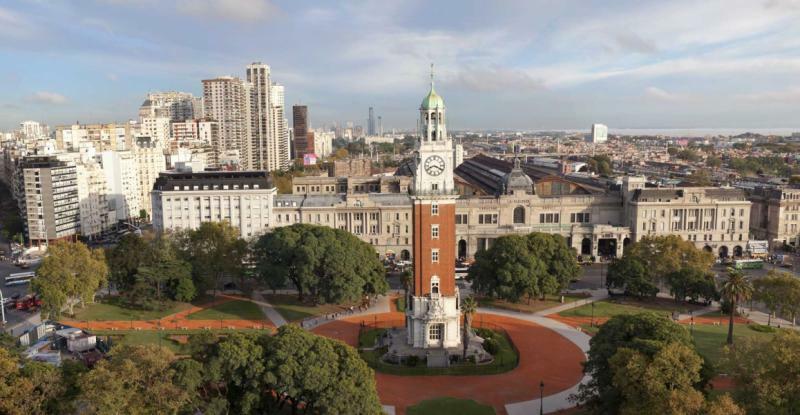 A large statue crowns the center of downtown, a symbol of the oil-rich southern fields of Argentina. You continue south to Puerto Deseado, traversing the valleys and rippling pink rocks overtaking the horizon on either side of the roadway. Tufts of grass brighten the rugged distance. 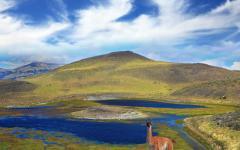 Guanacos roam along the landscape and graze on the pockets of greenery. They look similar to llamas and can grow to nearly four feet tall from the foot to shoulder. The fur along their graceful necks shines dark cinnamon. Puerto Deseado maintains its reputation as a fishing town, now supporting the deep sea fishing industry. It feels as though you have stepped back in time with the number of vintage trucks cruising along the streets. Seabirds soar over the coastline. Your guide takes you on a Zodiac boat and leads you up the Ria del Deseado to the wildlife reserve. The wind blows through your hair and brings the combined aromas of sea and freshwater to the air. The water turns turquoise and glints in the sun. The shore walls rise to nearly 100 feet above sea level. Commerson’s dolphins swim around the boat. Their black and white colors stand out from the water. Sea lions laze on the rocky shores. You come close enough to hear their grunts as they roll over to catch the sunlight on their stomachs. The glacier thaw from the Andes and Buenos Aires Lake feeds the Ria del Deseado, a sunken river valley. The water winds along for more than 380 miles before reaching the Atlantic Coast. After breakfast, your guide leads you along the banks of the river, making your way from the Atlantic Ocean. 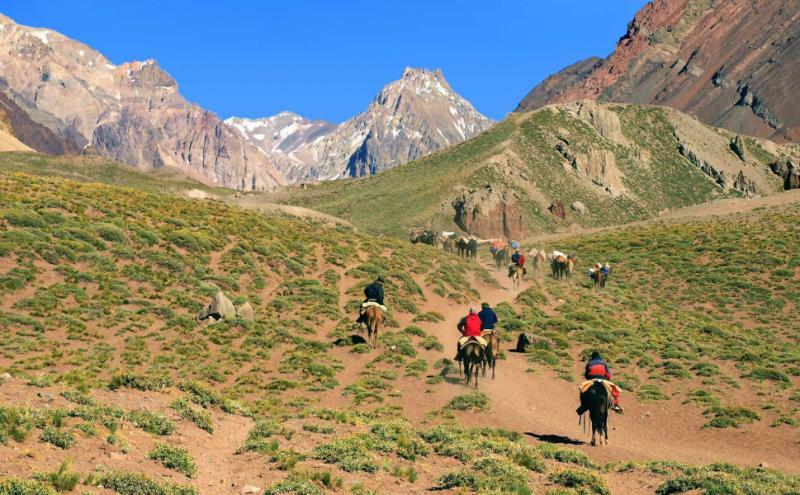 Explore through the tributaries, and into the Andes Mountains at the base of Meseta Buenos Aires, the plateau rising to an altitude of 2,952 feet in the province of Santa Cruz. Pronounced rock walls and dramatic slopes encircle the perimeter. More than 300 lakes pepper the landscape. You arrive in the tranquil setting of your secluded ranch-style accommodation. 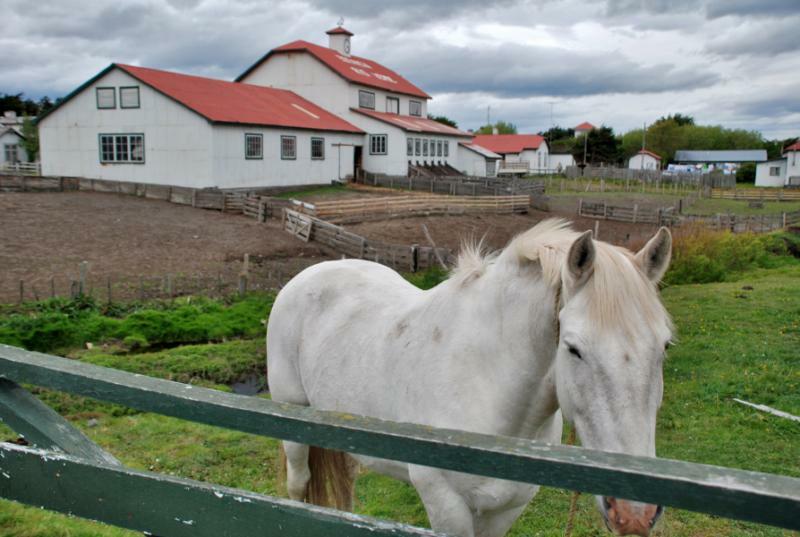 The estancia was established in the 1900s and continues to breed sheep and horses. Trees shade the border of the landscape. Cows and sheep graze on the lush grass sweeping across the flatland. Lupines blossom around the trunks of old trees. The luxuries of the ranch embrace you. In the morning, you sip your rich cup of coffee and have a perfect view of the bright panorama outside your window. 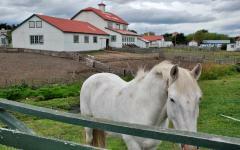 Horses trot along the estate in the sunlight. 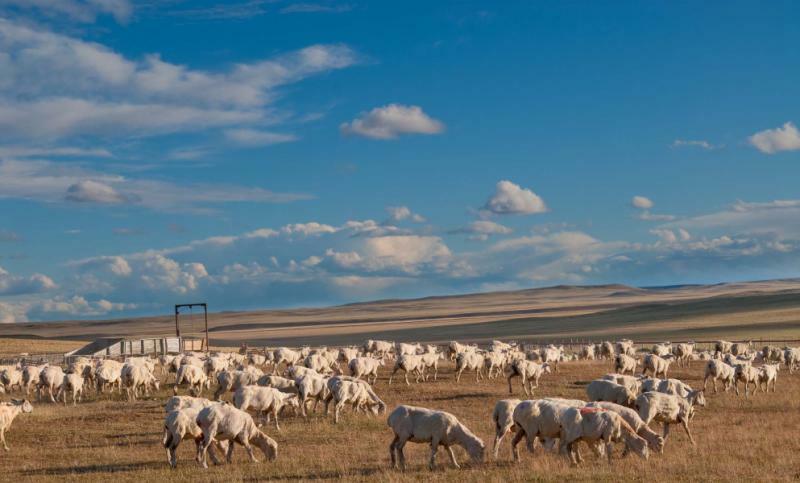 The sheep bunch together and resemble a cumulonimbus. 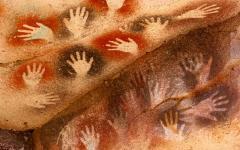 After breakfast, your guide escorts you to the Cuevas de las Manos, the Caves of the Hands. A narrow path leads from the ranger’s house alongside the riverbanks. The sound of rushing water is soothing. The walls of the canyon at the Pinturas River tower over the banks. You reach the caves and find preserved aboriginal paintings depicting three distinct styles of art, ranging between 13,000 to 9,000 years ago. The earliest work has been carbon-dated to approximately 7,300 BC. The painter used bone-made pipes to spray the paint on the wall to create the silhouette effect of various hands. The cave is nearly 50 feet wide and approximately 80 feet long. The ground slopes upward to the walls, offering a view of the various depictions of ancient life. The hunting scene shows various guanacos, rheas, and felines in geometric proportion. It is a naturalistic display of hunting techniques, including the use of bolas, a throwing weapon made of weights supported by interconnected cords. The proximity to the artwork is staggering, and the preservation of color and culture is breathtaking. 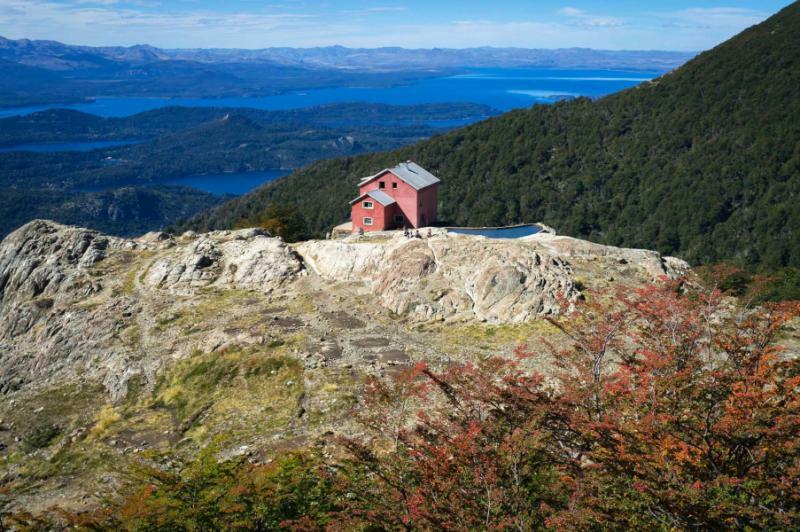 You continue to the grounds of Perito Moreno National Park and relax at your stunning estancia accommodation. 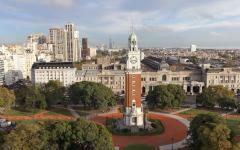 The sunlight washes over the landscape and highlights the emerald hues of the pampas. The grass waves in the gentle breeze. At breakfast, you sip a freshly brewed coffee and enjoy the stunning view of the open landscape. The main house contains more than 100 years of history on the estate and blends tradition and nature effortlessly. Your guide greets you after breakfast and leads you deeper into Perito Moreno National Park in search of the fabled wildlife of the region. Along the high altitude plains are rhea, also referred to as South American ostriches. They grow up to 67 inches tall and spread their wings when they run, resembling casting sails on the high seas. Rheas roam along the open grass. In the forest, your guide points out a huemul grazing on the underbrush. The South Andean deer is famous for hiding in the brushy terrain. Their grayish-brown coat fades into their long white neck. They grow up to 35 inches tall. 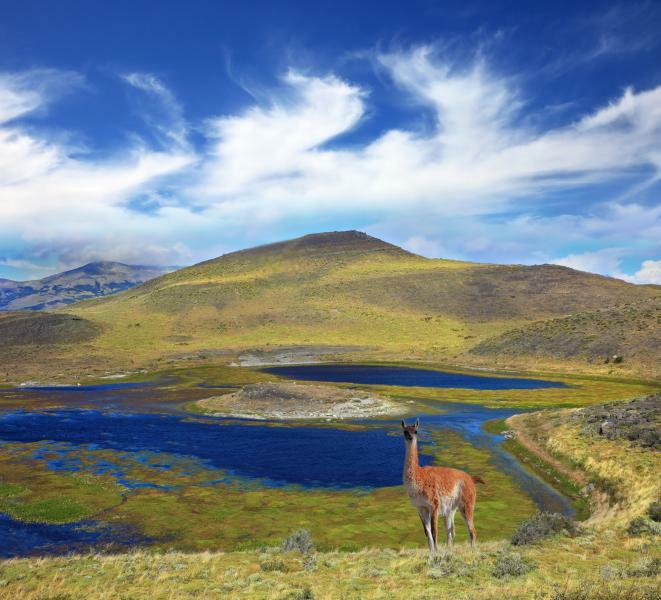 You reach the shores of the Belgrano Peninsula to find hundreds of guanacos grazing on the hills surrounding the coastline. The natural wonders of the national park are pristine. The water glows turquoise. The windswept grass brushes against the pebbled beaches. Mountains rise away from the peninsula with snowcapped summits. In the morning, you can hear the gauchos herding the horses along the plain. Their canter is rhythmic and captivating. The horses’ manes blow in the breeze. 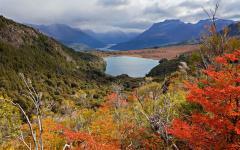 After breakfast, your guide leads you away from the tranquil grounds of your estancia and onto the Patagonian steppe. Lush grass carpets the region for as far as the eye can see. Hares and red foxes hide in the brush. Eagles circle in the air in search of a fast meal. The singular body of water known as Lago Cardiel interrupts the vastness of the steppe. At lunch, you find the scintillating aroma of meat roasting over an open fire. You indulge in a traditional Argentine parrilla, an inclusive barbecue. 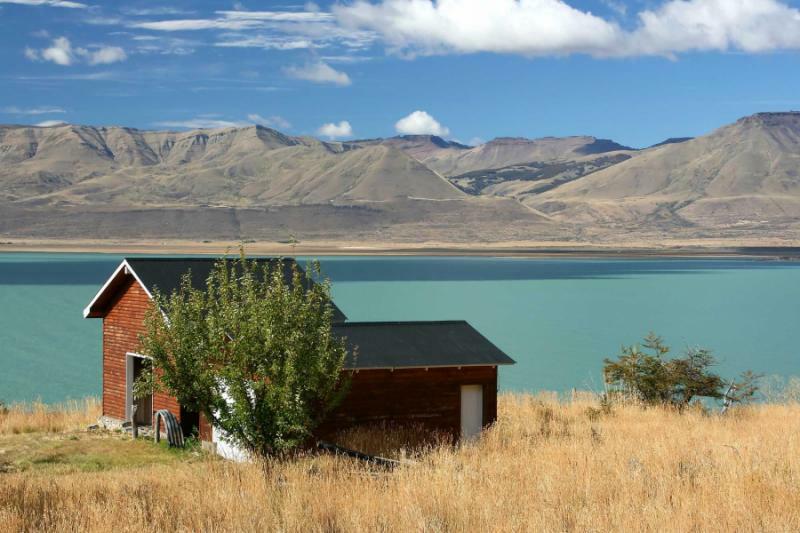 You reach the shores of Lago San Martin and locate your stunning estancia between the lush trees. Mossy underbrush blankets the beech forest on the shores of the lake. Frozen mountaintops roll along the horizon. The nature reserve covers more than 154 square miles. The waters of the lake shimmer a turquoise hue underneath the drifting sunlight. Condors nest on the craggy cliffs near the estancia’s grounds. Your guide points into the air to show their large wingspan against the open sky. They can grow to more than 10.5 feet from wingtip to wingtip. The turquoise water laps against the pebbled shore. Various types of orchids blossom in the canopy of the nearby beech forest. At breakfast, you can wake up to a fresh cup of coffee and enjoy the vastness of Patagonia outside your window. The day is yours to experience the landscape as you desire, taking advantage of the activities offered by your luxurious estancia. Trails cross over the riverbanks and travel along the cliff basins. The windswept grass brushes the edges of the foothills. Traverse the rugged slopes of the mountains as your guide leads you on a search for the elusive puma. The large feline can grow to almost eight feet long, stretching from nose to tail. Their light-brown fur helps them blend into the landscape, from forest underbrush to craggy mountainsides. You travel through the wilderness on horseback. You sway with each step of your horse, as you journey along the hills in the lingering pink hues of the mountain summits. Your gaucho guide sips mate tea from an aged wooden gourd. You reach a rocky outcrop overlooking the banks of Lake San Martin. The water sparkles against the rocky edges of the surrounding mountains. The trees shine emerald and provide a semi-sweet aroma to the crisp air. The red petals of notros flowers blossom like flames against the canopy. In the distance, your guide points out the strutting gait of a female puma. She walks along the tufts of grass. She stares at the group for a moment before retreating into the hills. Today your guide meets you in the hotel lobby after breakfast and leads you away from the secluded borders of your comfortable ranch-style accommodation. You drive alongside the shores of Viedma Lake. The water stretches for approximately 50 miles and brushes the border of Chile. Melting glacial ice forms the water and shapes the shoreline. The Leona River connects Viedma to the largest freshwater lake in Argentina, Lake Argentino. 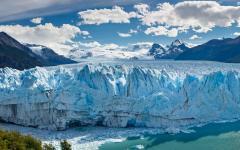 Viedma Glacier touches the western edges of the lake, fed by the Southern Patagonian Ice Field. Radiant white streaks glisten in the sunlight and shine against the foreground of turquoise water. 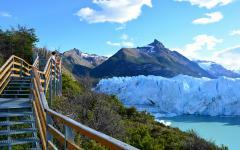 The road leads you to Perito Moreno Glacier, one of the few glaciers in Patagonia that is expanding instead of receding. 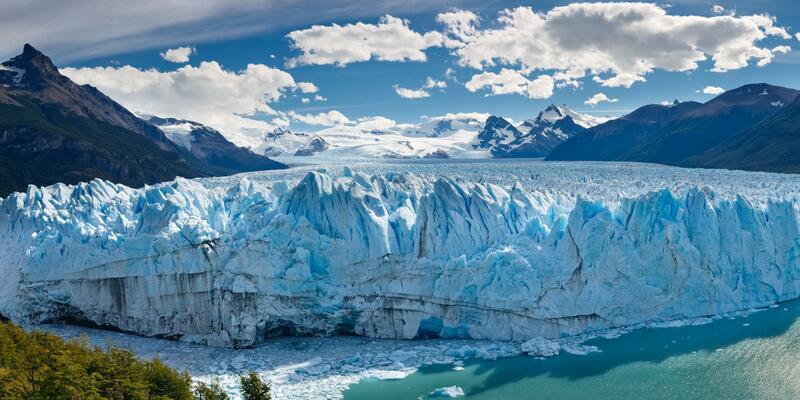 The ice wall ascends an average of 240 feet out of the channel, fed by Lake Argentino. A network of viewing platforms winds along the glacier’s adjacent shores. You can see a series of icebergs floating in the water between you and the glacier. Indigo hues blend with the white ice, showcasing the pristine nature of the glacier. At its widest point, the ice extends approximately three miles. In the gentle breeze, you can hear the subtle creaks of the ice’s movement. Flurries of the glacier erupt from the façade before you hear the thunderous crack. A large chunk of ice calves from the glacier and splashes into the water, joining the pack of icebergs below. 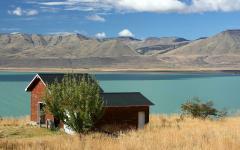 El Calafate is a charming alpine town touching the banks of Lake Argentino. In the morning, the sunlight washes over the shoreline and highlights the bright pink plumage of flamingos luxuriating in the water. Their bodies reflect in the stoic surface of the lake. A rich chocolate aroma drifts out of the numerous chocolate shops lining the main street. After breakfast, your private transfer escorts you from the hotel to Comandante Armando Tola International Airport for your flight home. The memories of tranquil estancias, stunning glaciers, and breathtaking mountains remain with you. "The services provided by the local tour agents were excellent." "... the trip went smooth, trouble free, and very RELAXING"
"Our travel agency was very attentive and professional in all communications."